Sliders are one of those elements you see on almost every website. They’re easy to implement, and they almost always look great, as long as you use compelling images. Plus, you can do some fun things with a WordPress slider, such as adding transition effects to it. Set up your WordPress slider, and add the media you want to use. Place your new slider wherever you want it displayed. Once that’s done, we’ll also introduce you to some top WordPress slider plugins, so you know what your options are. Let’s get to it! 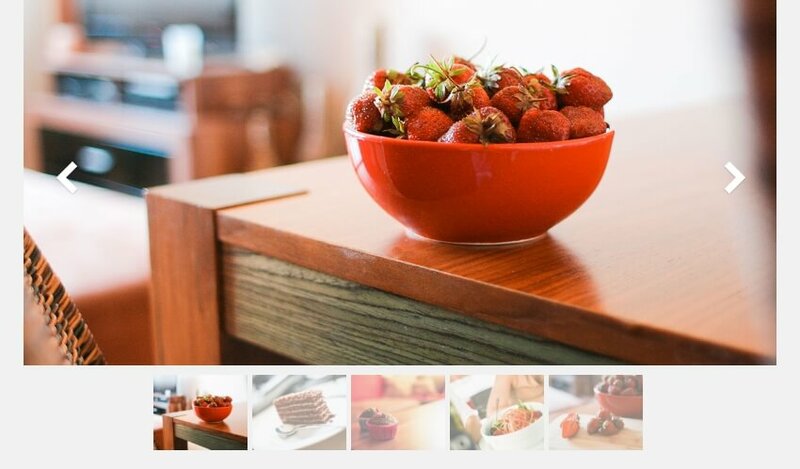 Sliders are simple features, but if you choose the right images, they can look stunning. Sliders (or carousels) are actually pretty simple features. A slider is a collection of images that you rotate through, either by using buttons or by waiting for them to transition automatically. In other words, it’s a slideshow of images. However, there’s a lot more you can do with a slider. You can also add fun transition effects to it, modify its text, create unique buttons, and much more. In short, there are plenty of ways to go from a boring, commonplace slider to something that really makes your web page stand out. As for when it makes sense to use sliders, it depends on your website and goals. A lot of sites use what are called ‘hero’ sliders, which spread across the top of a web page as an alternative header. You can see an example of this in action at the beginning of this section. Ultimately, sliders make a perfect addition to almost any website. However, they’re best used to fulfil a practical purpose, such as showcasing a lot of images in a small space, rather than just as decoration. They also add a bit of welcome interactivity to your website, which is a great way to increase user engagement. Throughout the next few sections, we’re going to teach you how to create a WordPress slider using Master Slider. We chose this plugin because it’s easy to use, offers a lot of fun features, and enables you to set up as many sliders as you want. Afterwards, we’ll introduce you to some more WordPress carousel slider plugins you can use, and we’ll talk more about Master Slider itself. For now, go ahead and install Master Slider, and then you’re ready to get started! For this tutorial, we’re going to set up a simple custom slider so you can see how the entire process works. So pick that option, and hit the CREATE button. Your images are ready to go now. Keep this tab open, and move on to the next step. Of course, you’re free to choose whatever control scheme you prefer. Then you’ll want to navigate to the SLIDER SETTINGS tab, where you can tweak your WordPress slider even further. Finally, you can also play around with skins by scrolling down to the Appearance section. These are slider templates that enable you to alter its appearance. Once you’re done tweaking your WordPress slider’s style, hit the Save Changes button and move on to the last step. Your WordPress slider is ready now, so all that’s left to do is place it on your website. This process is simple, since the Master Slider plugin generates a shortcode for each slider you create. 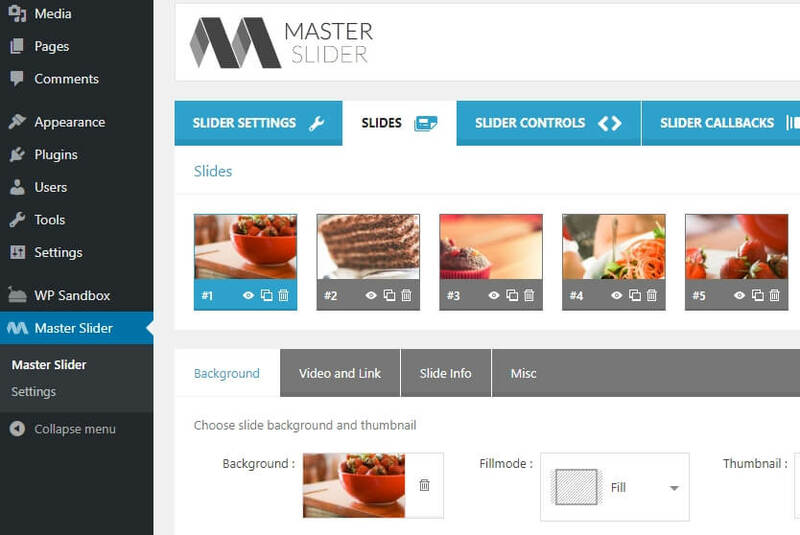 Now, you can get to work creating the best WordPress slider for your site! Before we wrap up, however, let’s explore a few alternative plugin options. We’ve already seen one of the best WordPress slider plugins in action. However, we didn’t get the chance to introduce you to all of its features yet. Let’s do that now, and then show you a few other top solutions you can use if Master Slider isn’t to your liking. You’re already acquainted with Master Slider, so let’s jump right into what you may not know about the plugin. Along with enabling you to create WordPress sliders, this plugin also makes sure they’re fully responsive. It works with touch navigation, so it’s perfect for mobile-friendly websites, and it’s built to be very search engine-friendly. Create as many sliders as you want. Add sliders to your WordPress pages using shortcodes. Customize your sliders’ style and transition effects. Ensure that your sliders are fully responsive, with no additional configuration needed. Optimize your sliders’ content for search engines. Pricing: You can either try out the free version of Master Slider or opt for the full premium version. Smart Slider 3 offers a lot of the same features Master Slider does. However, it also features a live drag-and-drop editor you can use to build your sliders. If you’re the kind of person who likes to tweak your site’s elements using a page builder rather than lists of settings, this plugin can be an excellent option. Aside from that feature, Smart Slider 3 also ensures that your sliders are responsive out of the box. Plus, it includes several templates you can use to set up compelling sliders in a hurry. 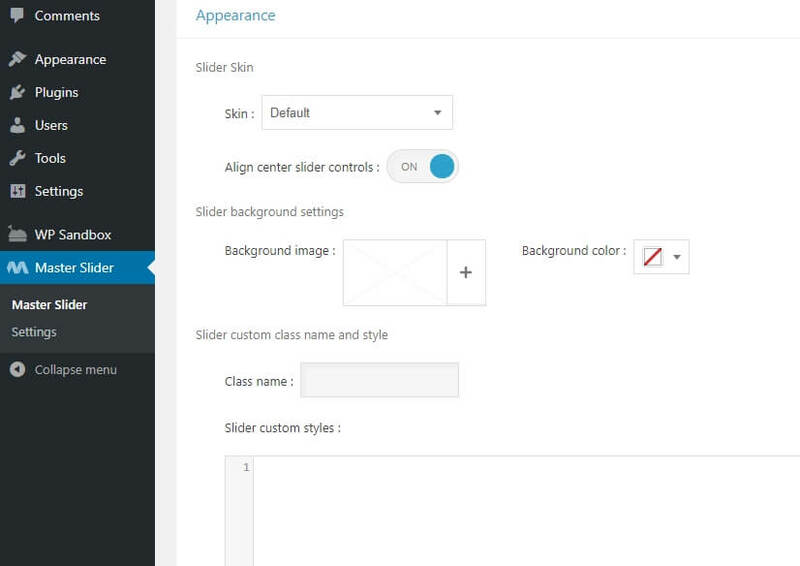 Create WordPress sliders using a drag-and-drop builder. Use third-party page builders such as Divi and Beaver Builder alongside the plugin. Set up fully responsive sliders out of the box. Choose from several templates to get your sliders up and running quickly. Add multiple fonts to your slides’ content. Pricing: Smart Slider 3 offers a free base version, as well as several paid tiers. 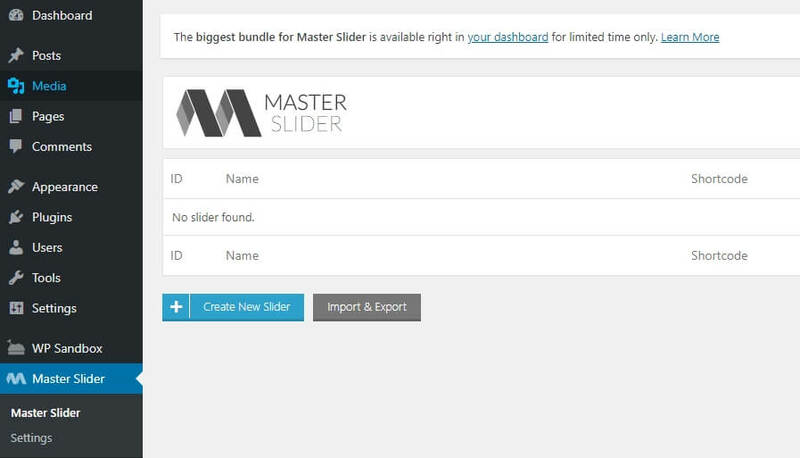 As far as WordPress slider plugins go, few are as popular as MetaSlider. 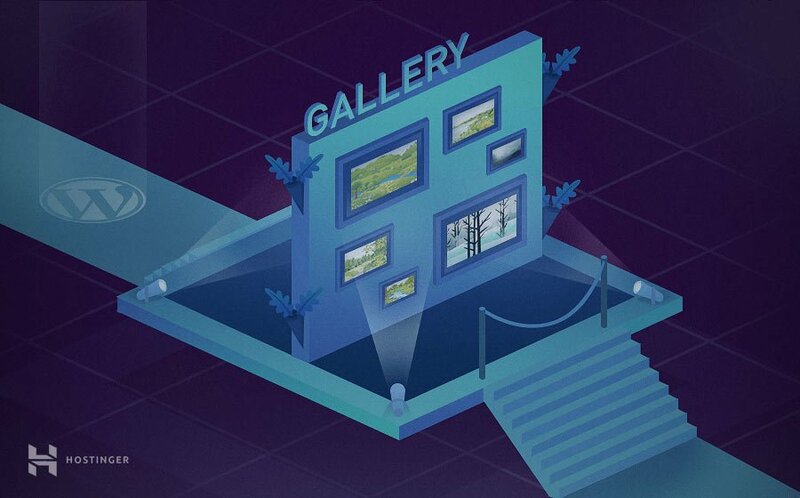 With almost 1,000,000 active installations at the time, we published this article, it sits at the top of the plugin food chain. While MetaSlider doesn’t feature the slick interface of the other plugins we’ve covered so far, it does shine when it comes to ease of use. Adding slides is easy, as is reordering them, adding text, and even optimizing their metadata. With other plugins, all this work can take a while, but MetaSlider keeps things simple thanks to a clean and intuitive interface. Set up multiple WordPress sliders. Quickly add slides and reorder them. Add text to your slides and tackle Search Engine Optimization (SEO), all from the same screen. Tweak your sliders’ transition effects. 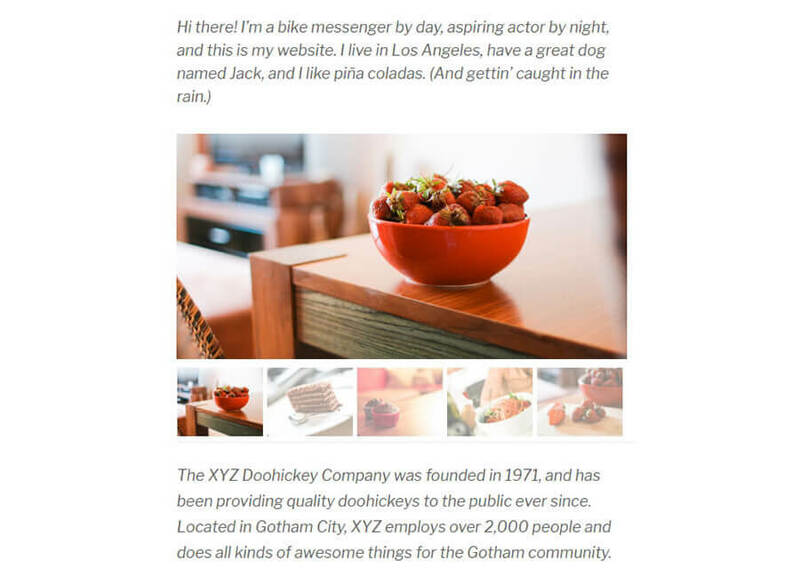 Add sliders to any of your pages using shortcodes. Pricing: MetaSlider is free in the WordPress Plugin Directory, or you can get a premium license with a few extra features. If you’re the kind of person who likes customizing every tiny detail of your website, Slider by WD might be up your alley. It features a lot of the functionality we’ve seen so far from other slider plugins, such as support for multiple slides, responsive design, and more. Where the plugin really shines is how many settings you can tweak for each of your slides. For example, you can play with their size, colors, and transition effects. You can even import and export sliders, so you can copy them from one site to another. Finally, the plugin includes an option to watermark your images, which can come in handy if you need to protect your original work. Set up mobile-friendly WordPress sliders. Gain access to a broad range of customization options for your slides. Watermark your slides to protect them from theft. Import and export slides, so you can copy them from one site to another. Pricing: The free version of Slider WD is a solid tool, although you can also upgrade to a premium license. So far, all the slider plugins we’ve talked about are primarily focused on images. However, as we mentioned earlier, you can also use WordPress sliders for other purposes. You create client testimonial carousels, showcase reviews, and a lot more. The Slide Anything plugin enables you to set up sliders using almost any type of content you want. Along with images and text, it also let you use HTML and even shortcodes, which can make for some fun combinations. Plus, this plugin includes some fun features such as infinite scrolling (so that your slider loops around), a whole collection of cool transition effects, and more. Set up sliders using any type of content you want. Choose from several transition effects for your slides. Use shortcodes within your sliders. Pricing: You can use Slide Anything Pro for free, or get access to a few additional features (such as popups) with the premium version. There’s a reason why sliders are so popular. All you have to do is pick a few images, add a transition effect or two, and potentially include some text, and you have an element that looks great anywhere on your site (particularly as a header). With WordPress, you can easily set up a slider using your favorite plugin. We’re partial to Master Slider due to its wealth of features, but there are a lot of excellent options out there. Do you have any questions about how to set up your first WordPress slider? Ask away in the comments section below!